There is a snapshot in every designer’s life that captures all emotions: excitement, fear, anticipation, dread, confidence, and hesitance. All of these gut-wrenching feelings stem from one single act, an act in which designers will perform several times throughout their careers: the anxiety-inducing portfolio submission. Unlike many other occupations, designers must open themselves up for instantaneous judgment and critique before ever having the chance to meet in person those casting a critical eye. There is, however, relief from this ailment that allows designers to put their best foot forward and earn the chance for that almighty job interview. Portfolio submissions should be viewed as a three-step process, with each step building in complexity and fortitude. Many people find that word processors or online resume builders are quite helpful in organizing and presenting content in a professional manner. It stands to reason, then, that these sources would be good for designers too, right? Wrong! Unfortunately, utilizing one of these programs screams ambivalence towards design and apathy for all that a designer has learned and polished over the years. Instead, designers must utilize an industry-standard layout software to generate a resume of worth and status. This single digital file holds the key to making a person stand out among the stack of hungry designers. In one brief glance, an employer will decide whether or not the resume’s overall design and layout merits looking at the content itself. Only if your aesthetics speak volumes will the rest of your voice be heard. 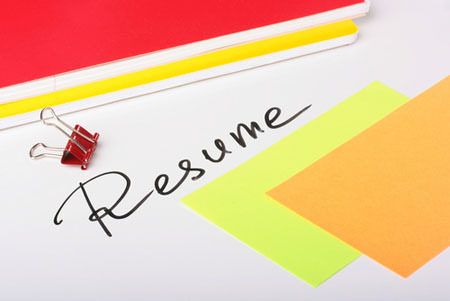 An additional piece of information vital to a resume’s success is the web address for the designer’s online portfolio. This is not a negotiable issue; if you want the job, then a website you must have. No website means no interview. Period. Congratulations. You have made it past that critical cross-section of time where your resume managed to impress someone in five seconds or less. Piqued by the beautiful, timeless elegance of your resume, the potential employer is now online scouring through your website. Every pixel, hex color, and font family chosen is being subjected to possibly the most rigorous visual shakedown possible. One mediocre project or errant navigation function exiles your website, and you, to the dreaded column of DNH: “Do Not Hire.” Avoid this limbo by sticking to clean lines, sensible arrangements, and simple navigation that allows for your featured projects to take center stage. Remember, a good layout goes unnoticed and lets the content speak for itself. The convenience of a resume and web portfolio is quite attractive. After all, a potential employer is able to size you up at his or her leisure without even having to pick up the phone or send an email. Once you have made it past the first two battles, you are presented with the honor of an in-person interview. Tread carefully, as this could very well be the most important game of chess you will ever play. 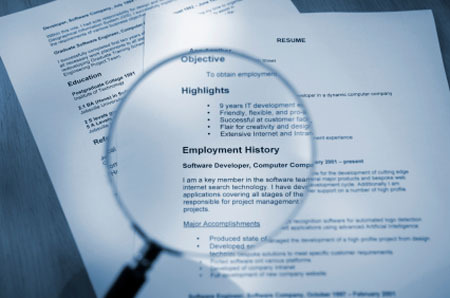 What do potential employers look for during an interview? Unless you are applying for a job that has nothing to do with design, you should count on presenting a physical portfolio. Designers love “show and tell.” It is something we never grow out of, and we base our entire careers upon this whimsical childhood game. If we have something cool, we want to show everyone else. Design is no different. Why do you need a physical portfolio if you have a digital portfolio? 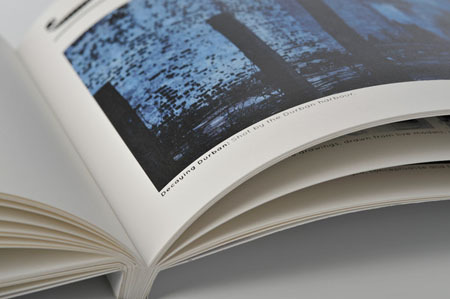 Regardless of what some experts say, print design is not a dying art form. Rather, it is a tactile vantage point of a person’s design aptitude that allows the interviewer to see, hold, and feel something created from start to finish by the designer. Projects as simple as brochures, postcards, and business cards have a much stronger impact when viewed in person compared to being perused on a monitor. Additionally, the interviewer has already seen the works posted to your web portfolio; providing physical elements gives you the chance to showcase even more work and create engaging conversations that highlight your intellect. Never miss out on an opportunity to toot your own horn. Confidence is a demand never stated on a job posting but always required. There is no magic formula or iPhone app that can guarantee a job. As hard as you have worked and as great as you have become, there will always be someone else out there who has worked harder and become greater. The difference between you and them is the knowledge of how to position yourself appropriately amid a sea of other aesthetically driven candidates. Continue to work hard, and strive to become greater. Follow this three-step prescription for portfolio submissions and the vitality of your design career will only improve. After all, people in this field are only guaranteed three things: death, taxes, and design. This guest post was written by Jennifer Ayotte the School of Technology & Design Coordinator at Rasmussen College at the Fort Myers, FL college campus. In this role, she assists students seeking digital and multimedia design degrees. Good ways to promote design, digital portfolio is my favorite.